The 300 and 400 meter hurdles may be the most complex sprint event group to coach. ...a consistent stride pattern and rhythm on the both the straight and the turn. Fail in any one of these areas and your hurdlers will pay the price. This event group could be 'free money' for your athletes and team. Most high school coaches can't be bothered to dedicate their time to this event group. How else do you explain why there are so few 300 and 400 meter hurdle competitors at meets? Don't miss out on the opportunity to profit from their laziness. 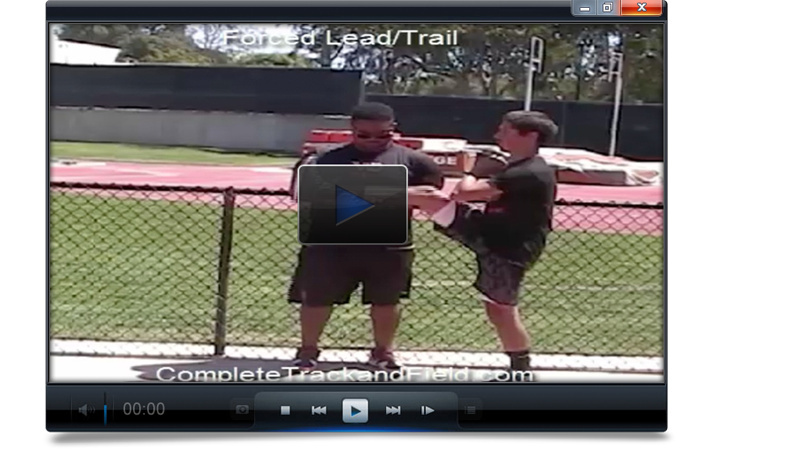 All you have to do is follow the proven methods laid out by USATF Master Coach Tony Veney. 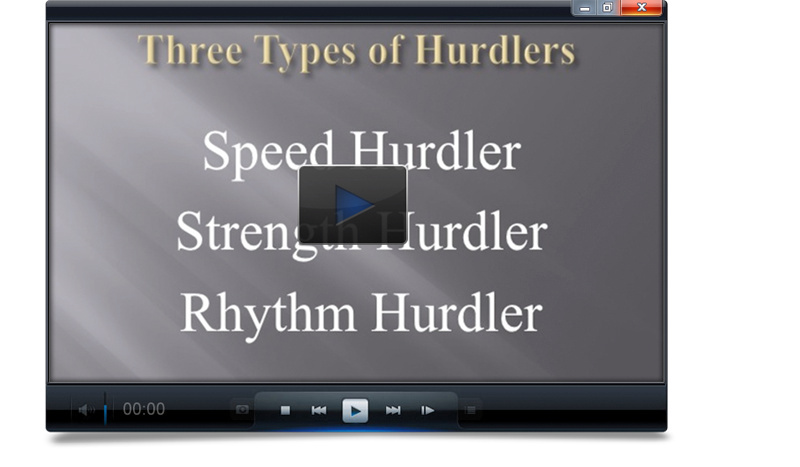 The quickest way to establish which of the three types of hurdlers you have in order to plan more effective workouts, race strategies and tactics. How to implement SPEED based progressions and avoid wasting valuable training time on ineffective workouts including mileage and other outdated 'train slow to get fast' strategies. 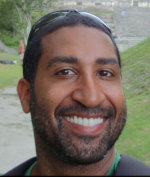 Save time planning practices with Coach Veney's 'Top 15 Most Effective Workouts for 300 and 400 Hurdlers'. Join Coach Veney for an in depth look at an entire 12 week season. You'll know exactly where and when to plug in all of your workouts. Lifetime Q&A support with Coach Veney. Get all of your training questions answered instead of being left on your own like you are with other programs. You'll get better results when you have a more complete understanding of how the energy system demands of the event affect training. Whether you're looking for step by step instructions or simply want ideas to help refine your current system, Coach Veney leaves no stone unturned. ‘General Prep’ doesn't mean start doing things slowly and methodically get faster. Revolutionize your understanding of how to progress and develop speed and 'endurance' qualities, all within the structure of the typical 12 week high school season. How to set up your annual plan, sample workouts, sessions, and microcycles are all covered here. If you're looking to add to your library of drills and exercises for improving hurdle performance, here they are. The content of this program was built directly from answering the questions submitted by over two hundred high school 300 and 400 hurdles coaches. Coach Veney took the 19 most frequent and thought provoking of those questions and answers them in full detail. If you have questions about these events, many of them are likely specifically addressed in this section alone. 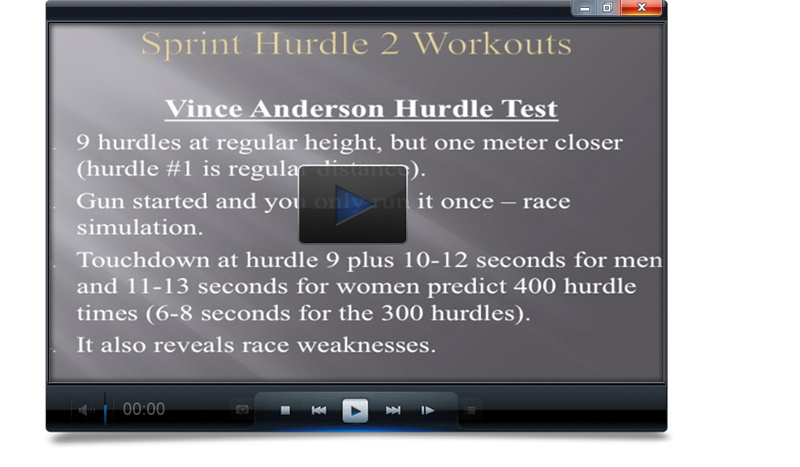 Press Play to watch a clip from Complete Program Design for 300 & 400 Hurdles. Lifetime Q&A access with Coach Veney...get complete answers to all of your training questions, as well as view questions and Coach Veney's responses to other coaches. Complete breakdown and analysis of Coach Veney's Top 15 300 & 400 hurdles workouts. This is the Holy Grail if you're in the market for original and specific workouts proven to get results with every level of long hurdler. Supplemental drills and exercises to add to your coaching tool box, as well as answers to the 19 most popular questions submitted by high school coaches. YES, I want in! I want immediate access to “Complete Program Design for 300m/400m Hurdles” right now. 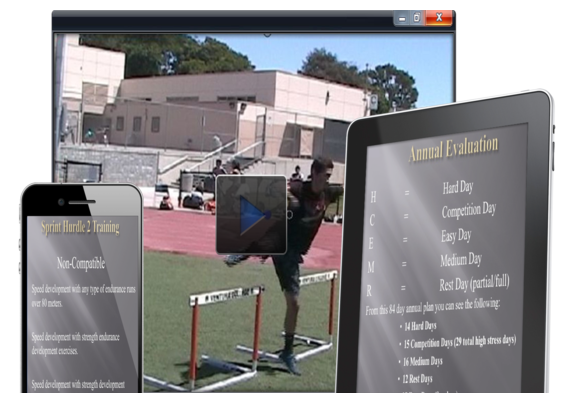 instant access so you can start developing superior 300 or 400 meter hurdlers. I'm confident in the quality of Coach Veney's program. But, as a high school coach, I also understand the realities of how far we have to stretch a very small budget. I believe that once you get this program and start going through it, you'll be glad you took that leap of faith. Order now and if you don't agree it's worth every penny, request a refund within 60 days and I'll refund you 100% of your purchase price. I'll take on all the risk so you can focus on working with your athletes.